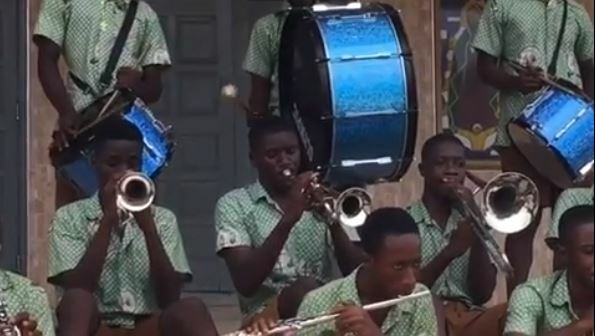 The band boys of St. James Seminary Senior High School in Abesem, Sunya, have shown class with Kofi Mole’s latest jam. Titled “Don’t Be Late”, the ballad has been massively received by Ghanaians since its release a few weeks ago. But what has grabbed his fans’ attention is the live jazz rendition by St. James Seminary SHS band boys. Garbed in their green and brown attire, the boys sat comfortably and in a relaxed position on steps while delivering the masterpiece with flair. It was slow, soft and calmed but worth every seconds of your time. Watch the full video below and share your views with us.